3 years ago I was toying with the idea of a business – a business where I could make things to sell and perhaps have a bit of spending cash, and help pay the grocery bill. And for the braces we were putting on our oldest and knew we would have to put on our other two as well. I had some leftover items from my very first pop-up shop event, so I opened an etsy shop and loaded it up. I wasn’t sure what all I wanted to offer in my shop on a regular basis. 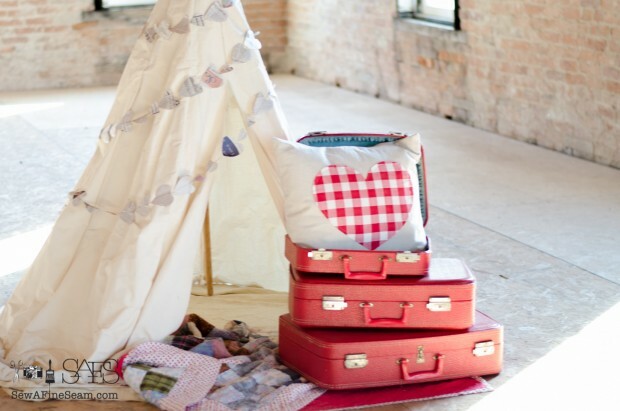 I had quite a few pillows in various fabrics and designs. And some other odds and ends, both handmade items and vintage things that were small enough to ship easily. I wasn’t overjoyed with my mix up though. I waffled over what I wanted my shop to look like and what my ‘brand’ would be. I distinctly remember telling my husband that I didn’t want to be ‘just another pillow maker’. 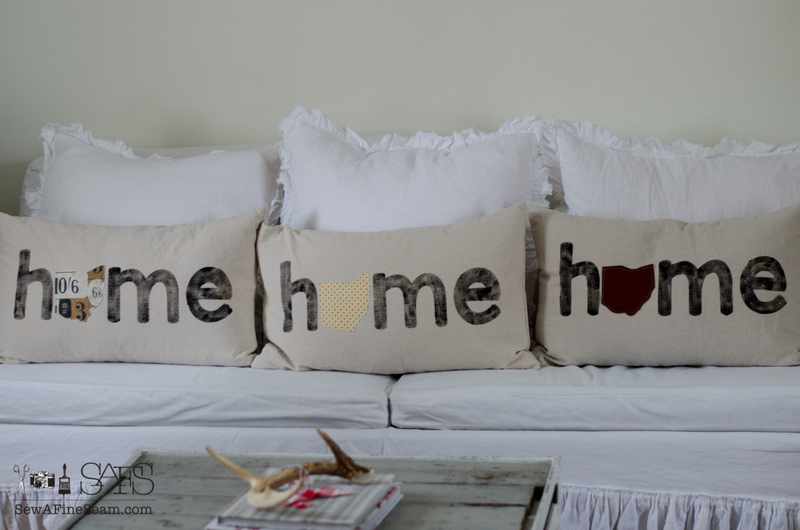 Meaning I didn’t want to just make a bunch of pillows that got lost among all the other pillows out there. I guess. I’m not sure exactly what I really did mean. I just remember saying it. And knowing I wanted something more. Somehow it just seemed like a not-so-creative way to build a thriving business – creating pillows was easy enough, but there were so many out there already and I just wasn’t inspired. The etsy shop did sort-of ok. I never put the effort and time into it that it really needed. Etsy is a huge marketplace and you have to know how to work it to get your products seen and get the traffic you need to have consistent sales. I kept busy enough with other things I just never hit a good rhythm with it. That first event was in late summer of 2011.
became a business with all the paperwork to prove it. I did a few more events, sold a few more things here and there on etsy. Continued to write the blog. Made new friends and contacts. Fall of 2013 I loaded up my family and we headed north for a vacation – and for me to do a project for a friend. Laura from The Ironstone Nest got a couple of slipcovers made for a small bench and I got to take a milk paint class from her. And a friendship that started through our blogs became even stronger. Today Laura is one of my wholesale clients and one of my top sellers! On the way home from our vacation in Wisconsin, we stopped in at a boutique in Rockford Illinois, called Urban Farmgirl. I’d followed Mary’s blog for years and it was in the back of my mind that we could possibly stop in at her shop on our way through the area. Sometime in the early Spring of 2014 Mary and I worked out the details for my first shipment of handmade items to Urban Farmgirl. We started out handling it as a commission arrangement. But let me tell you the book work for that when it’s a long distance arrangement is a nightmare – on both ends. By late fall I switched her to wholesale. I’d been doing wholesale with a couple other clients and it was working well. When I mentioned it to Mary she was as ready as I was – that book work stuff can get to ya! In the beginning I sent pillows, banners, key chains, and maybe a few other things to Mary. It soon became clear that pillows was the big deal. 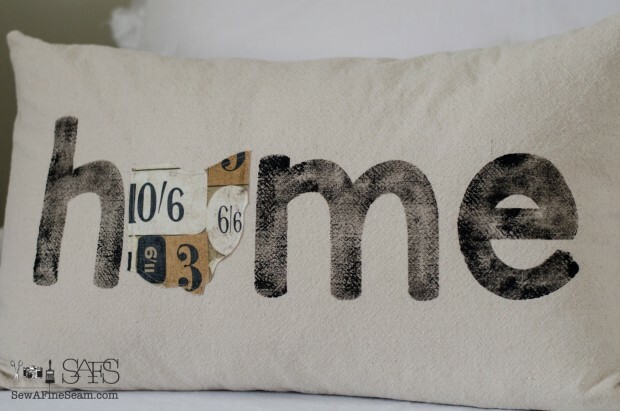 And not just any pillows. 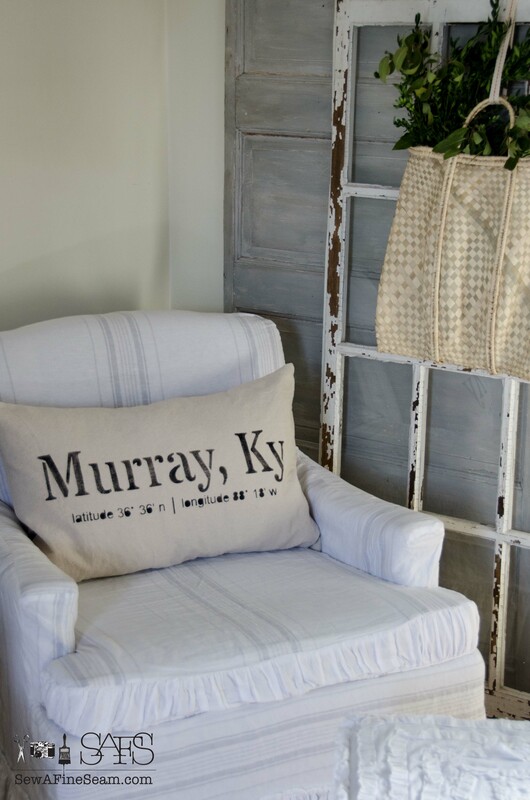 Mary had asked for a pillow that said rockford, il with the latitude and longitude coordinates. I accepted the challenge and created one. And it was a hit. By November of 2014 I had a handful of wholesale clients. I was shipping out 3 styles of pillows on a regular basis. 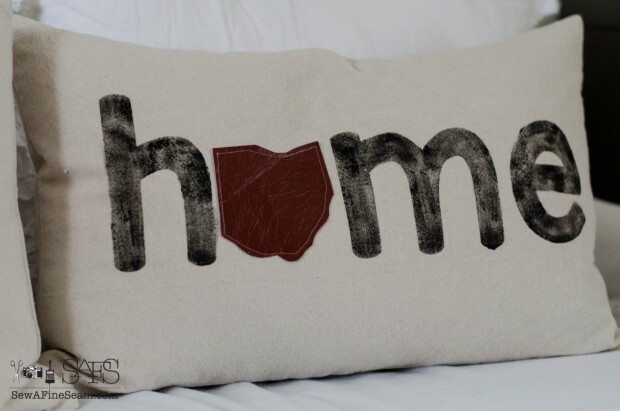 My latitude pillows, the ‘home’ pillows with the state as the ‘o’ and ‘state’ pillows with a large state cut out of fabric and sewn on the canvas pillow cover. A heart is stitched on the area of the state the pillows are going to and a small ‘home’ is stenciled on beside the state. 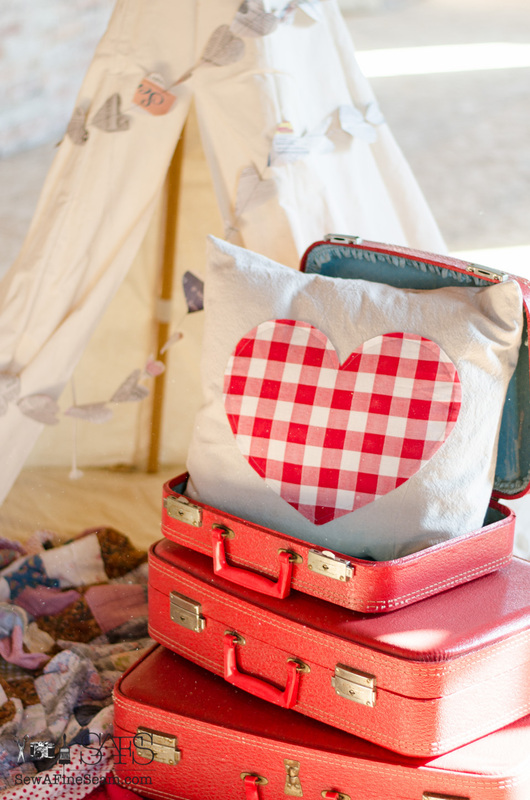 Things exploded in November when Laura came onboard and started selling my pillows at The Ironstone Nest. Between her and Mary I was barely keeping up with the help of my assistant. So I brought another friend onboard and all three of us kept busy keeping everyone supplied for the Christmas rush. I was sure things would slow down in January. But Praise the Lord, It was not to be. I had gone from not wanting to be ‘just another pillow maker’ to NOT just another pillow maker, but SEW A FINE SEAM pillow maker 😀 By the 10th of January we had over 200 pillow orders. I started back to work just a few days after Christmas and it’s been busy ever since. New clients keep coming onboard. 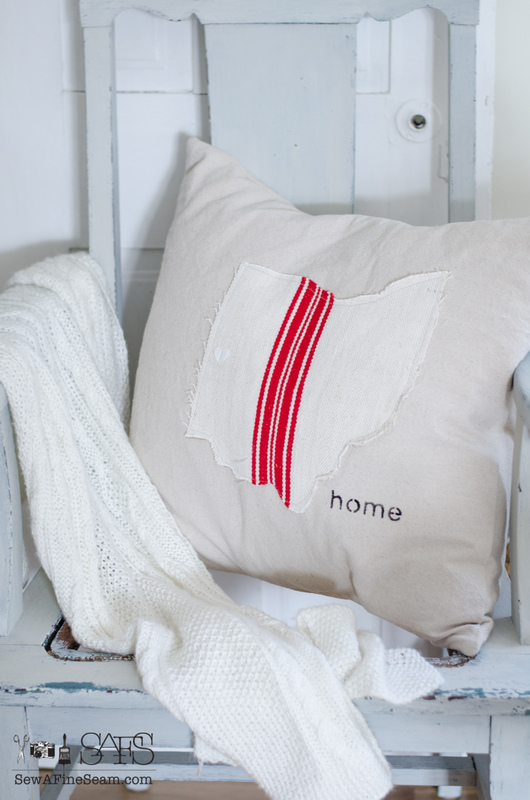 I now send my pillows to at least 12 shops and 8 different states. I honestly don’t even have a definite count as it has changed so fast. 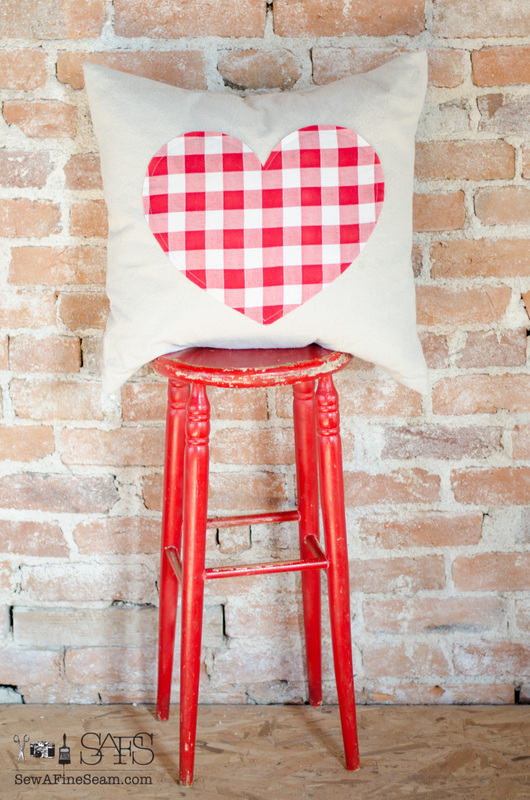 Last week alone we cranked out 100 pillows. It’s crazy. In a good way. A very, very good way. I can hardly believe it but there are close to 1,000 (or more) Sew a Fine Seam pillows out there in homes, being enjoyed by the people who bought them or got them as gifts. I have been so blessed. And I am so thankful. Thankful that I have this wholesale biz I never saw coming. 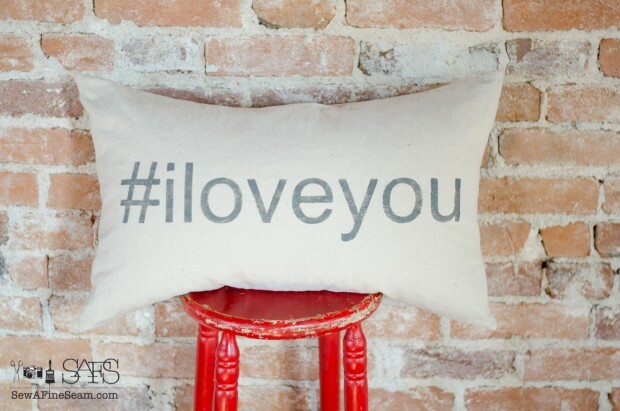 Thankful I’m NOT just another pillow maker, but that I have established a brand that is recognized and loved. I have a few more ideas up my sleeve too. And let me tell you I don’t want to be ‘just another handbag maker’ either! Oh Jill, I am so happy for you. God is so amazing. Sometimes we just have to be walking life and then bang He steps in and does something like this. I wish you much success. They are beautiful and you are very talented. Thanks Sandy – God is amazing and I love how He shows up and opens doors for us! Just “pressed down and running over”! Praise God for His faithfulness. I am overjoyed for you. Amen! And thank you so much my friend! PTL, and bless you too. It all sounds good and like a wish come true. I loved your article! Thank you so much Tammie – my blog friends and supporters mean the world to me! I love hearing things like this. So inspiring!!! Thanks Bobi, I’m glad sharing can inspire others! Jill, I’m so happy that your business has taken off. One of the things I’ve always believed in & taught my children is that if there is something you dream of doing, ask God to help you and then go for it. You won’t realize your dream if you never try. My own life is evidence of this. God bless you dear sister. 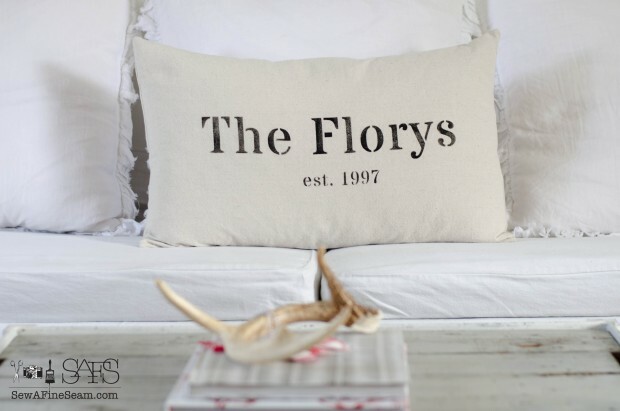 I would like to buy some pillows from you. Do you sell entirely wholesale or do you sell some retail? Tricia I also have the pillows listed in my shop – if you go to my blog and click the shop button it will take you there. or you can tell me where you are located and I’ll see if there is a shop close to you that sells them! I am so happy for you! Tears and smiles and hugs. So much sweat and hard work behind the scenes. It looks easy on a blog page. IT ISN”T!!! Praise God. For every good thing. For being there through every up, every down. For all that’s behind and all that’s ahead. Jill, thanks so much for sharing this post. I think it’s just what I needed to hear, and I feel as if I am right in the place you were three or four years ago. I’m trusting in God to walk with me on this new path, but it’s nice to hear stories of people who have walked in similar ways. Congratulations on your “not just another pillow maker” business! You do incredible work!! wow… so so happy for you my friend. Sad for me… I haven’t seen ya in forever.. but I’m not thinking that’s because of pillows. Add in life and kids and school and yeah… oh yeah.. and lots of cold weather… perfect time to just hunker down at home. Blessings my friend.. I’m so happy for you and your business! You are talented and have a gift. So happy for your success! I know, it has been forever. This winter stuff just doesn’t make me get out and do much more than I have to. We really should plan a girls night out sometime soon! Amazing things happen when we are open to God’s leading in our lives…how wonderful for you!!! This is an exciting time in your life and just look at how many people’s lives you are impacting with your fabulous pillows!!! That is so true Susan – and we have to learn to wait while we work hard and keep pushing forward! Sometimes it can seem like we are getting nowhere but each day and every effort put forth is going to pay off down the road! That’s just amazing and truly wonderful! Congratulations! Thank you so much Carol – support from my friends, family, bloggers, etc is so much appreciated! Good for you Jill. I am glad God has answered your prayers and I am hoping he is going to answer mine. Thanks Donna, and God always answers – it just sometimes takes more time than we want or even looks different than we thought. Keep asking – He wants us to interact with Him! Wow Jill fabulous! I had no idea you were such a busy girl! 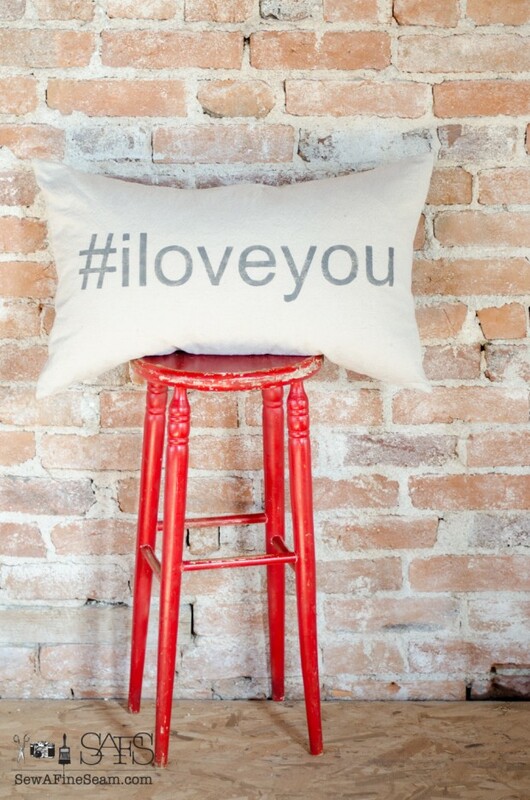 Your pillows are awesome and it’s no doubt why they sell so well! Congratulations on your success! Thanks so much Susan – it’s been quite the journey and a lot of fun!